It is never too early to plan your estate distribution. Discussing your Will and final plans can be hard. But it can also be rewarding to review the assets you accumulated and to know you have a plan to take care of your loved ones. Estate plans can be as simple as a two page Will. Some require more planning using trusts, partnerships or other tools. We will listen to your goals and develop a plan to help you reach them. 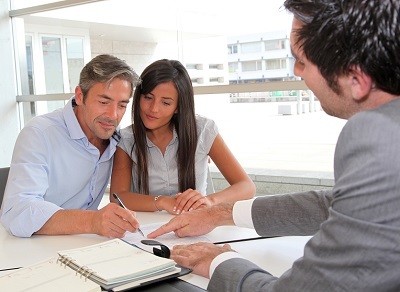 A proper estate plan should involve a thorough review of your assets. This will enable you to minimize inheritance and estate taxes. Attorney Taczak is mindful of the private nature of discussing your personal assets. Any discussions will remain confidential. Estate planning can be accomplished through several legal documents. A Will directs to whom your assets will be distributed. A trust can ensure someone is looking over how your assets are distributed to certain heirs such as minors. A power of attorney can give a trusted individual the power to act on your behalf should you become incapacitated. In addition to providing for your loved ones and protecting your assets, you may also wish to provide for your own welfare with advance directives. Living wills can ensure your wishes for medical treatment are followed if you cannot make decisions for yourself. This can save your family much grief and anxiety over difficult decisions. Over the course of your life, your financial situation may change significantly. The laws and regulations relating to estate distribution and taxes may change as well. You will need to keep your estate plan up to date. You may also want to change your beneficiaries or the people making decisions on your behalf. Attorney Taczak will help you develop effective and efficient solutions to carry out your estate planning goals. Probate is the legal term for the process of administering an estate at the Courthouse. Small estates, those valued at less than fifty thousand dollars, can be settled by a petition to the orphan’s court. Larger estates may require the Executor to be sworn in at the Register of Wills. Often, an estate can be closed by a Family Settlement Agreement whereby all of the heirs acknowledge the distribution of the assets. An accounting is prepared of all the assets the estate receives and all the expenses the estate pays out. Many people wish to avoid the public nature of probate. They prefer to keep their affairs private. This can be accomplished with proper estate planning techniques. Sometimes, people pass on without a Will. This is called Intestacy. In this case, the Pennsylvania statutes provide how the person’s assets are distributed. Unfortunately, not everyone establishes a clear plan for how their assets should be divided at the time of their death. In these situations, people turn to the courts for a final determination as to distribution. Attorney Taczak is available to counsel clients on Will contests and estate litigation. Attorney Taczak offers a free in-person consultation on all estate matters. Contact our offices if you are in need of someone to review your specific situation.